Landscape lighting can show off the interesting details of your home’s architecture, accentuating your front door and showing off your beautiful landscaping. This lighting can make a home stand out from the rest of the neighborhood at night, creating a more inviting and homey feeling. Summer is all about grilling and hanging outdoors. In this case, landscape lighting is essential. You will most likely use your outdoor patio or pool deck area more if it is well lit and you can relax and enjoy the outdoors. 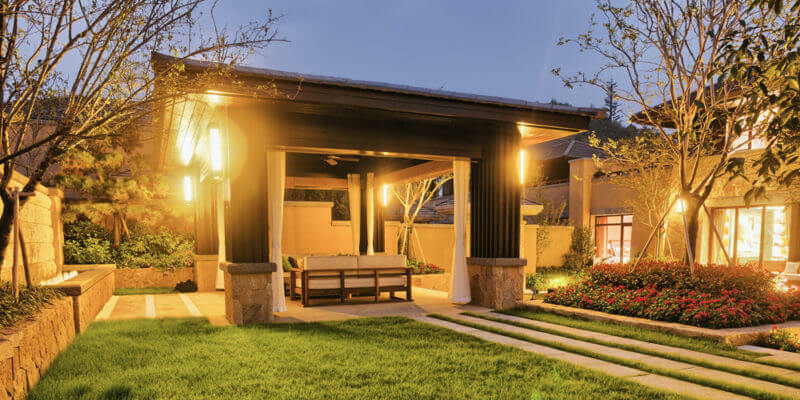 Landscape lighting for either a home or office can decrease the chances of you or a guest tripping or falling on an outdoor walkway when it’s dark out. It can also decrease the chances of your home or business being broken into. Thieves will usually chose a dark house as an easy target, making well-lit houses unattractive to them. Although it can’t prevent crime, it can make a criminal think twice before trying to break in.